Imagine freewheeling through tufted French vineyards, scaling the rocky, cloud-topped tracks in the Himalayas or rattling past whitewashed sugar-cube houses in narrow Spanish valleys. From surviving the peaks of the Yorkshire Dales to tackling truly hair-raising descents in rural Cuba, the sheer variety of routes in The 50 Greatest Bike Rides of the World will have you reaching for your bicycle clips, helmet and gloves. 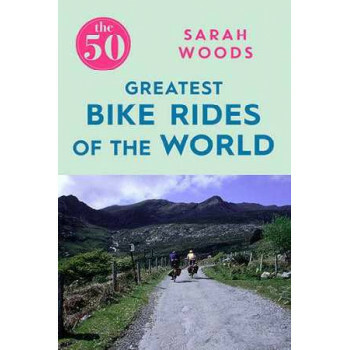 Sarah Woods tells tales of scenic single tracks, switchback climbs and routes newly discovered from around the world, each with valuable tips and details to satisfy every cycling enthusiast. It's time to get those panniers packed and sprockets checked and to climb into the saddle.